Our Lawn Insect Program is a 2 application systemic program to prevent insect damage to to turf. These applications work great in preventing damage from white grubs (the immature larvae of Japanese Beetles), May/ June Beetles, Chafers, chinchbug and many other turf feeding insects throughout the growing season. 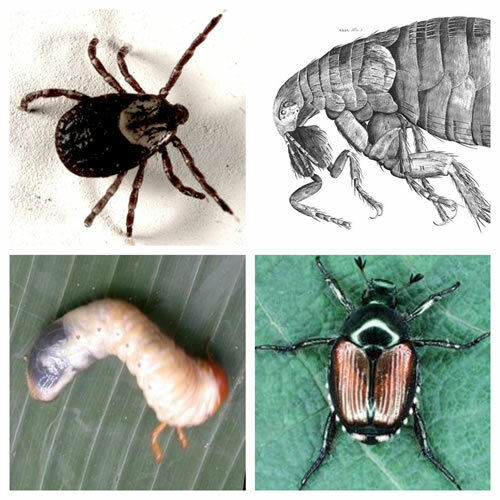 Many of the applications we do can also work wonders on fleas and ticks! Please give us a call so we can discuss your insect control needs. For customers with active insect problems, TLC offers a curative application.